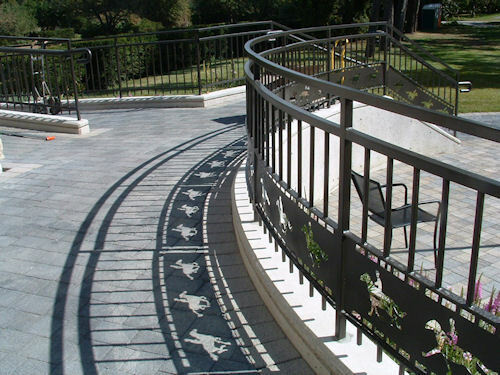 Here is some of the work we completed during the past 12 - 18 months. 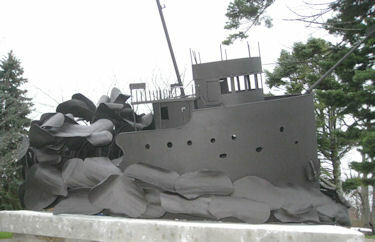 This ship was installed at Cannon Park, overlooking Goderich harbour, to commermorate the loss of life and property in the Great Storm of 1913. 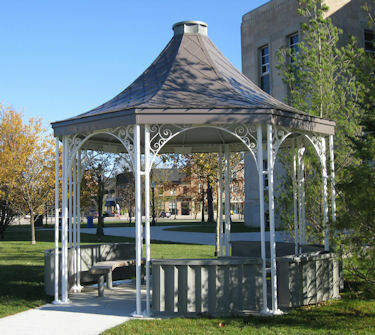 The gazebo in Courthouse Square replaced a structure that destroyed by the F3 tornado that hit Goderich on August 21, 2011. 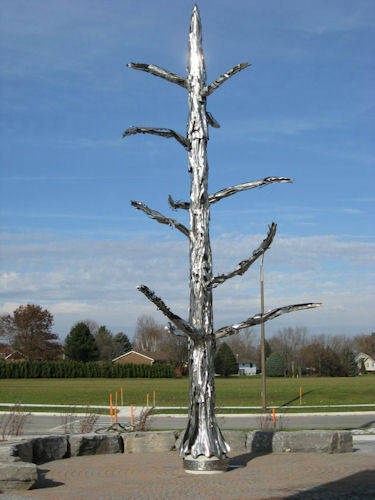 This tree was installed in Harbour Park to commermorate the loss of life and trees caused by the F3 tornado that hit Goderich on August 21, 2011. 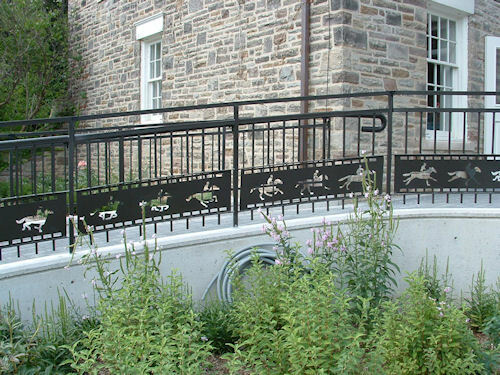 These railings at the Canadian Film Institute depict images from an historic early film of galloping horse.